What the Quitters are Scared to tell you: “Our promises were only possibilities” at best. Vote Leave made a number of key promises as corner stones of their campaign. So do Boris Johnson, Michael Gove, Gisella Stuart, Iain Duncan Smith, Nigel Farage, Priti Patel etc even care about the promises they made? Given the rate at which they are running away from what they now say were only possibilities it seems not. 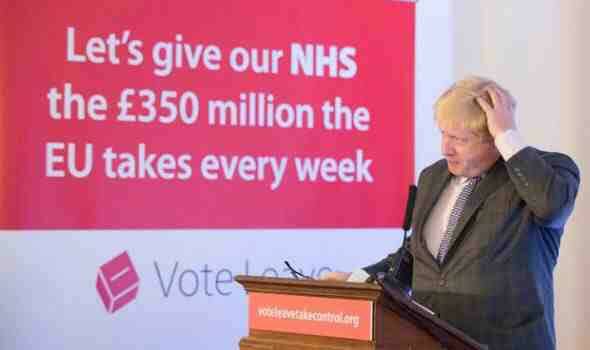 Never mind we have Boris Johnson’s promise that he will make a public apology if it all goes wrong. Better make sure you have prepared that speech Boris, not looking very clever so far. This entry was posted in brexit, lies and tagged brexit, lies. Bookmark the permalink.